The extras include 'Proud Sutherland' a short film of Sutherland in bygone days, 'The Dunrobin', the Duke of Sutherland's train now in British Columbia, and 'Historylinks Museum' and insight to our museum. 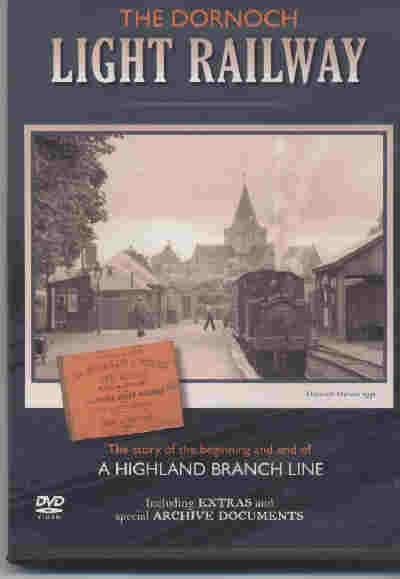 When used with a personal computer, the DVD provides access to portable document format (PDF) files, including 'The Dornoch Light Railway' the 100th Anniversary book by Barry C Turner, and a collection of photographs, maps and cuttings. A short overview providing a selection of clips from the video, including the extra 'Proud Sutherland' is available on YouTube.